Hi, my name is Ana Flávia. 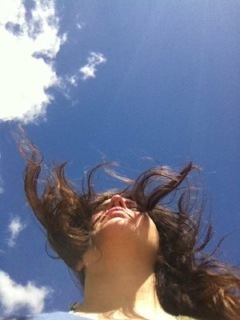 I’m from Brazil but I have been living in London since february 2000. I hope you enjoy my blog as I enjoy the things I put on it. I really enjoy your blog. It’s a nice blog. are you quite new in blogging? Hi Jeffrey! Thanks, I’m really happy that you liked. Your blog is so cute! How do I get in touch with you? You can send me an email on thehappiestcow@gmail.com. Just saw your blog on the Oscars …. well done. I am a fellow blogger…. I love writing. Keep up the great work…..
Hi Carol, thanks for the encouragement! I have nominated you for this Sunshine Award because you bring a smile to my face and others. 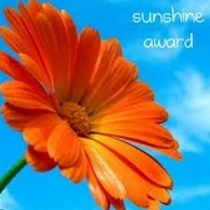 You can read about what you need to do here: http://danlrene.wordpress.com/2012/02/28/the-sunshine-award/ and get a copy of the Sunshine Award picture to place on your blog. I’ve nominated your blog for The Versatile Bloggers Award! Congrats! Thanks for running such an entertaining blog. why did you stopped blogging? I know and I’m sorry! I was very busy, changing house and job… But I will start again slowly.